Former U.S. Army soldier Chelsea Manning complained on Twitter Monday that she had been "banned" from entering Canada as a result of her conviction of espionage. Then-Private First Class Bradley Manning was convicted in 2013 for giving WikiLeaks hundreds and thousands of classified military documents. Manning pled guilty to multiple violations of the Espionage Act to avoid a conviction of "aiding the enemy," a charge that carries the death penalty. Manning was sentenced to 35 years in prison, and transitioned to female during her time in a military prison. In the waning days of his presidency, President Barack Obama commuted her sentence, allowing her to go free after serving seven years of the sentence. 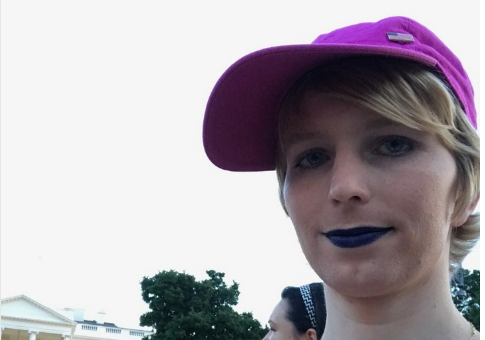 Manning tweeted on Monday that when she attempted to visit Canada, she was informed she was "inadmissible," according to an official ruling posted to her Twitter. Canadian law stipulates that a person may be barred from entering the country if "convicted of an offense outside Canada that, if committed in Canada, would constitute an offense under an Act of Parliament punishable by a maximum term of imprisonment of at least 10 years." In the ruling, the unnamed official noted that Manning's actions would have constituted treason according to Canadian law, a charge that holds a minimum sentence of 14 years. This entry was posted in Politics and tagged Canada, Chelsea Manning. Bookmark the permalink.